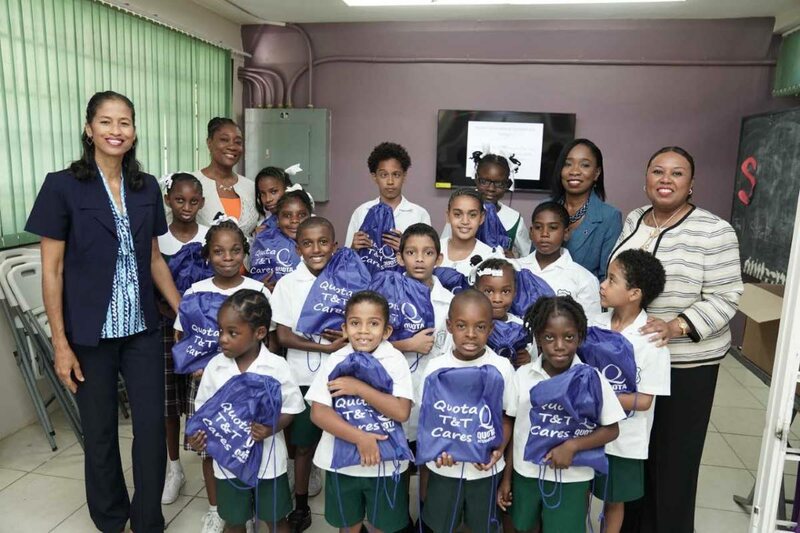 Students from the Cascade School for the Deaf with principal Cheryl-Ann Grant, left; Jillian Jones-Smith, vice president, Quota TT; Jennifer Moore, team lead, community and projects, Quota TT; and Michelle Low Chew Tung, president, Quota TT. QUOTA International of TT, the local arm of Quota International, donated over 55 bags of stationery supplies to all students attending the Cascade School for the Deaf and the Audrey Jeffers School for the Deaf in Marabella. This is the first year Quota TT has participated in a back-to-school initiative and supplies included a tote bag, notebooks and other items. President of Quota Michelle Low Chew Tung said “the deaf are often marginalised in society through a lack of equal opportunity” and the group was seeking to provide equal opportunities for them to realise their full potential. “We believe hearing impairments should not limit a child’s potential and the donation of stationery supplies ensures that deaf children will continue to look forward to the future,” Low Chew Tung said in a media release. Principal of the Cascade School for the Deaf Cheryl Ann Grant thanked Quota for its contribution and said she is looking forward to working closely with the organisation in the deaf community. Similar sentiments were expressed by Veronica John, principal of the Audrey Jeffers School for the Deaf. Bryan Rodrigues and Stephen Dookhran, directors on the board of the TT Association for the Deaf and Hearing Impaired (TTAHI), were on hand for the presentation at the two schools. Quota TT said it has identified TTAHI as a strategic partner and will work in collaboration with the association. Reply to "Quota TT assists schools for the deaf"